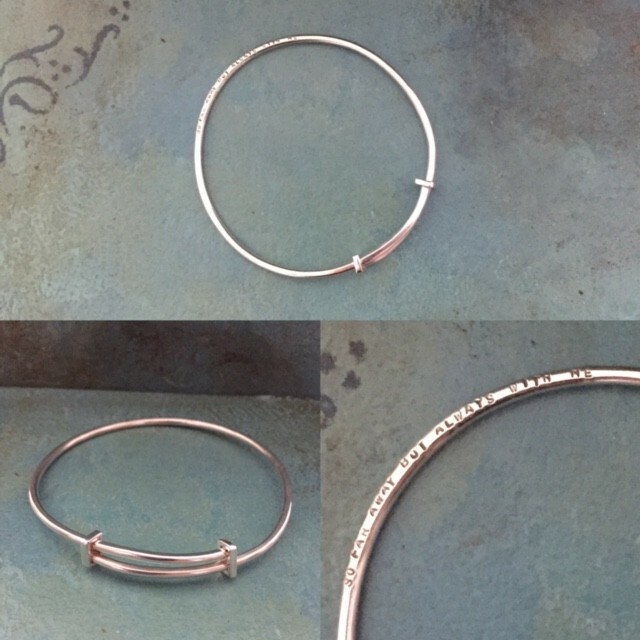 Have any personalised message hand stamped onto an adjustable sterling silver bangle, these are made to be a bit wonky with a hammered finish. 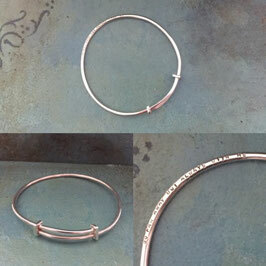 Please note: Bangles are sold individually but look great stacked up! You can fit approx 6 words on 1 side of the christening bangle and up to 20 words on the largest size. If you would like a message on both sides it will be an extra £10, please add this to your shopping cart using the drop down menu. When you check out, there is a 'notes' section for you to write the message you'd like stamping on to the bangle. bring a purpose to your dreams. with the promise of its glow. as you walk through many snows.